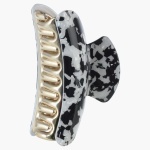 Make a fashion statement with this clamp claw clip. It features a rock print all over in monochromatic shades. 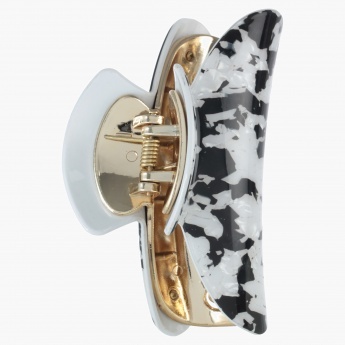 The metallic detailing add to its bold style.